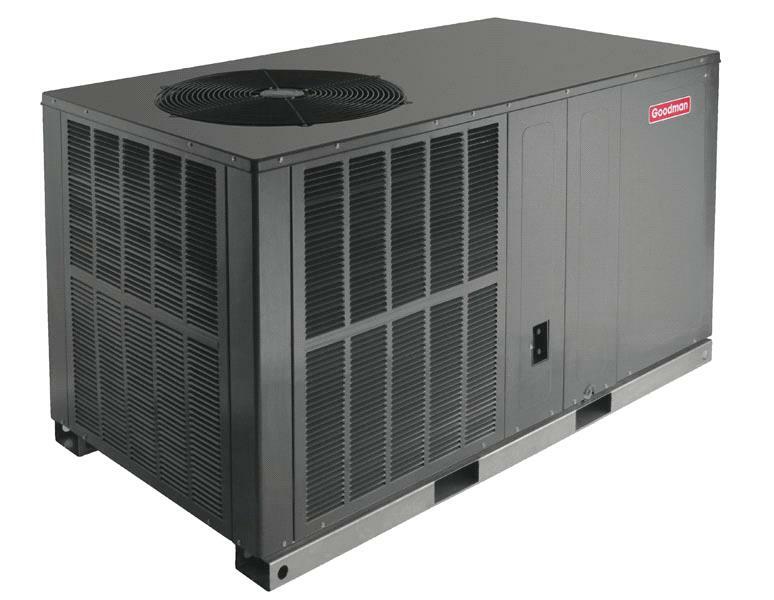 Add the energy-efficient Goodman GPH1642H41 3.5 ton packaged heat pump to your central air conditioning system. This model is a complete combination of great cooling and excellent heating capabilities. To provide a required temperature, the heat pump has a highly efficient compressor, and also reverses automatically. A maximum cooling capacity of 40,500 BTU with the 37,600 BTU of heating output is sure to provide a cozy temperature inside. An energy-efficient operation with the maximum desired effect is ensured by the 16 SEER rate. The R-410A chlorine-free refrigerant that comes in most Goodman residential products also makes this unit eco-friendly. Deliver a year-round comfort and get the most out of this energy efficient unit from the GPH16M heat pump series. With the self-contained Goodman GPH1642H41 model your home temperature will be always under control.